Mark’s Mobile Glass is a proud provider of windshield replacement services in Springfield, MO. With more than 24 years’ experience in the auto glass industry, we can provide high quality windshield replacement for affordable prices. Better still, our free mobile service means we can come to you to repair or replace your damaged windshield, saving you the time and hassle of driving to an auto glass repair shop! With one of the larges inventories in the area, there’s no vehicle make or model whose windshield we cannot replace, and we commitment to quality means we only use the best materials and equipment. Thanks to our very own workshop on wheels, we a provide quality windshield replacement services anywhere in Springfield. So, whether you are at work, home, or somewhere else in the city, we can easily reach you to complete an auto glass replacement at a time and place that suits you best. This isn’t just a convenient service, but one that could be much safer for you! Remember, driving with a damaged windshield is potentially very dangerous, especially if you are involved in a collision or serious accident! Of course, you can easily visit our auto glass repair shop based right here in Springfield should it be easier! All the technicians here at Mark’s Mobile Glass work tirelessly to ensure your windshield replacement is completed to highest standard. Each is fully certified and comes with the necessary experience to produce the high-quality repairs and replacements our customers deserve. While your replacement won’t take long to complete, it will look as good as new and restore your vehicle’s structural integrity to make safe to drive! When many vehicle-owners first notice a crack on their windshield, they think of it as nothing serious. This couldn’t be further from the truth, as it actually reduces the overall structural integrity of a vehicle, making it much more dangerous to drive in, as well as being a possible distraction for the driver. For instance, if you are driving with a damaged windshield and involved in a collision or other accident, the body of the car could face significant damage such as the roof completely caving in. This could therefore lead to serious injury, or even worse, for any driver and passenger inside of the vehicle – so never take the risk! Our technicians will complete a quick and effective windshield replacement that will restore your vehicle’s original structural integrity and make it safer to drive once again. 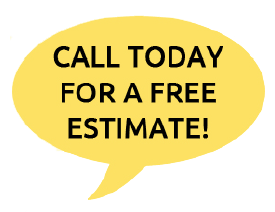 Similarly, damaged side windows can be very dangerous to drive with, but we can easily perform any type of side window replacement if required. Mark’s Mobile Glass is dedicated in providing honest and reliable windshield repair and replacement services for residents throughout Springfield, MO, which is why we only work with the best materials for the job. Furthermore, we ensure that only the best tools are used for every repair or replacement. The adhesive products we use to secure a replacement in place are best of their kind, and we will use the latest techniques and we only work with the top auto glass manufacturers in the country. All of this helps us produce the best quality windshield replacements around. In fact, we are so confident in our quality of work that we offer a nationwide warranty for every installation. A windshield replacement must be done correctly and we take every step to ensure that this is the case! Need a windshield replacement but are unsure whether we will have glass for your vehicle? Do not fear, as here at Mark’s Mobile Glass we have a massive inventory of replacement windshields that cover every make and model you can imagine.